Tonight I have the devotions for my church’s Circle meeting. I thought I would share it to remind you that God is always with you. A mother and her four-year-old daughter were preparing for bed one night. The child was afraid of the dark, and the mother, on this occasion, felt fearful also. 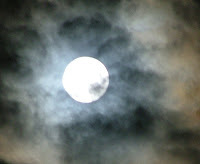 When the light was out, the child caught a glimpse of the moon outside the window. “Mother,” she asked, “is the moon God’s light?” “Yes,” said the mother. 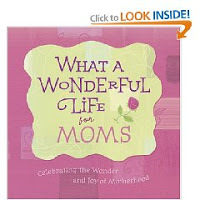 Taken from the book “What A Wonderful Life for Moms”.